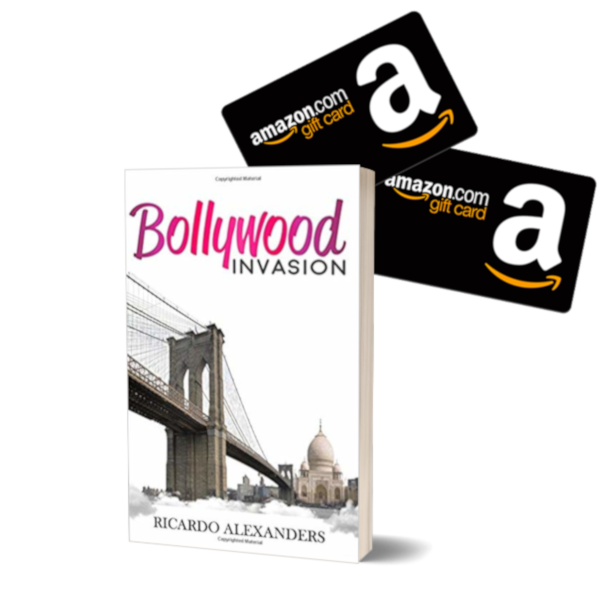 To celebrate the release of BOLLYWOOD INVASION by Ricardo Alexanders, we’re giving away a $25 Amazon gift card and a $50 Amazon gift card to one lucky winner! Once your initial entry is confirmed, additional entry options are unlocked! GIVEAWAY TERMS & CONDITIONS: Open to internationally. Two winners will be chosen, one to receive a $25 Amazon gift card and one to receive a $50 Amazon gift card. This giveaway is administered by Pure Textuality PR on behalf of Ricardo Alexanders. Giveaway ends 10/1/2018 @ 11:59pm EST. Limit one entry per reader. Duplicates will be deleted. CLICK HERE TO ENTER!